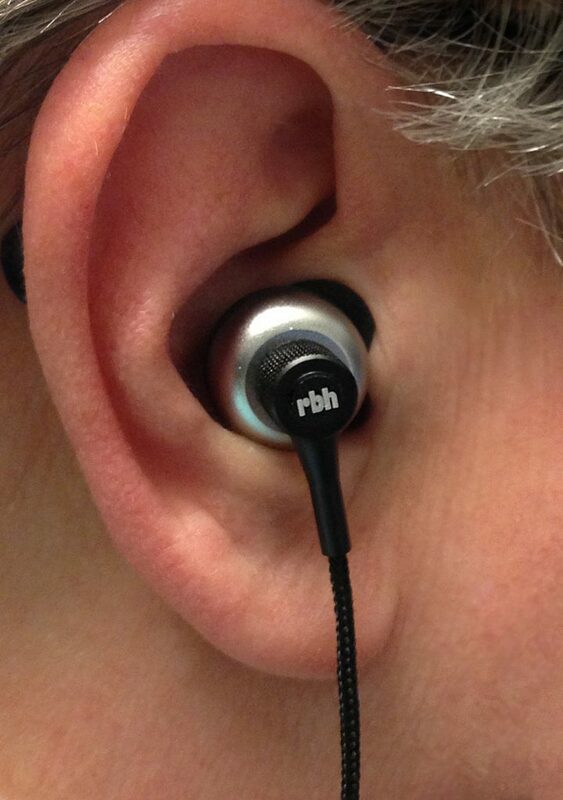 RBH Sound began as a maker of speakers for other companies and has since become a respected name in their own right. They jumped into the personal audio arena with the EP1 earphone and now offer the EP2 Noise Isolating Earphone. The EP2 is identical to the EP1 except that it includes a microphone module for phone calls and music playback control. This is a welcome addition for busy commuters and people who need to be constantly connected. However, the main reason for buying earphones is audio — or more specifically — audio quality. RBH has nicely packaged the EP2 earphones in a sturdy box with a magnetically closed lid. 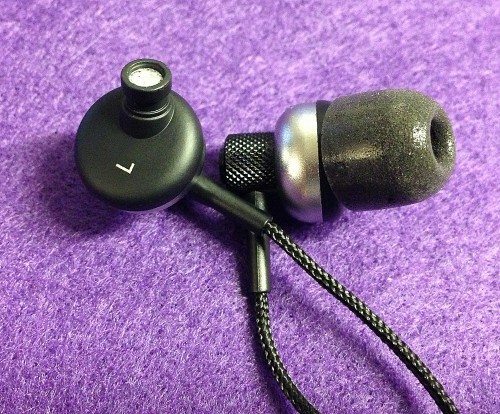 The EP2 earphones have a few features that – while not unique – make them worth a look. Aluminum is becoming increasingly popular as a material for housing the guts of an earphone. 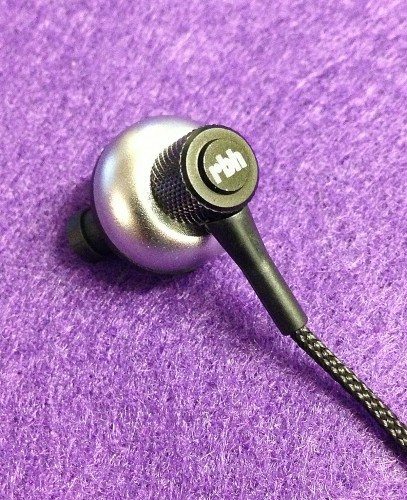 It’s lightweight (though still heavier than plastic), very tough, and makes earphones appear more expensive than they sometimes are. There is a look and feel to aluminum that can’t be matched with plastic. Because aluminum can be cold to the touch on frigid days, RBH used silver aluminum on the outside combined with black plastic on the inside, which gives the earphones a tough exterior without the chill. 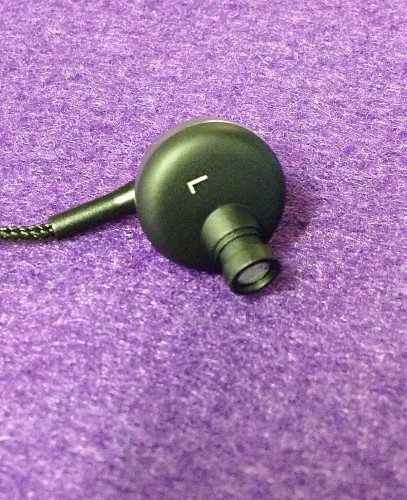 Each earpiece contains an oversized 13mm dynamic speaker; most dynamic earphone speakers are 8-10mm. The specs for sensitivity don’t appear that great on paper, but then humans can’t really hear most frequency extremes that headphones makers brag about, anyway. Each housing is designed so that the round dynamic speaker rests just outside the ear while the tip sits inside the ear canal. This setup is comfortable, but the earphone can only be pushed into the ear so far before it bumps into you, and that can be an issue for some people. Inserting and removing however, is quick and easy ,as each earpiece has a knob-looking grooved part that’s easy to grasp. Note: There are two types of earphones, dynamic and armature. Dynamic earphone speakers look like tiny speakers. Armature speakers are based on ones used in hearing aids. The sound of dynamic speakers (usually) leans toward bass, while armatures are (again, usually) more accurate with less bass. There are advantages and disadvantages to each speaker approach. The EP2 cord is wrapped in cloth instead of the usual rubber coating. Maybe this results in a tougher cord, maybe not. Since most cords fail at connection points anyway, it’s hard to tell if the extra wrapping helps. Sometimes cloth-wrapped cords can also develop a semi-permanent crease when pinched or folded during storage, but that’s not the case with the EP2 cord. It easily pulls straight, which can help prevent tangling. Another advantage to cloth-covered cords is a reduction in microphonics, that low, thumping sound produced when a cord is scraped or touched. It’s a common issue with earphones. Attached to the cord is a music/volume/mic control for smartphones. What the button does depends on what device you have, although it seems to work best with iPhones. The single button control can be confusing at first until you get the hang of it. I prefer the 3-button approach. Call quality is good, but I still have issues – because of the isolation – hearing whoever I am conversing with better than my own voice. That’s true of any earphone with a mic. Note that if you don’t need the mic, save $30 and get the EP1. Included in the EP2 box is a soft, spring-hinged case and a good selection of silicone tips – none of which fit my ears very well. However, RBH wisely included two pair of Comply foam tips (medium and large) which can dramatically improve the audio, as well as isolation factor – and they fit my ears. I was both impressed and disappointed in the sound of the EP2 earphones. How well they sound is almost completely determined by what type of music that’s played. Let me explain: Both the bass and high frequencies dominate the EP2. This often leaves the middle frequencies fighting for attention. Since the mids are where most of the vocal range is, the EP2 is better suited for more modern mixes with their emphasis on bass. As a result, pop vocals can sound weak. And songs that are brighter sounding sometimes border on harsh when heard at higher volumes. For instance, “Play On” from Paloma Faith is a good example. Her voice is bright enough already, and the EP2 didn’t do her any favors. With the volume cranked, her singing became brittle and strained. However, the remastered Neil Young album, “Harvest” fared much better. The lead off track, “Out On the Weekend”, has a wonderful mix of solid drumming pushed a bit forward, while Young’s plaintive singing and harmonica playing have been relegated to a supporting role. In fact, the entire album shines when listening with the EP2. 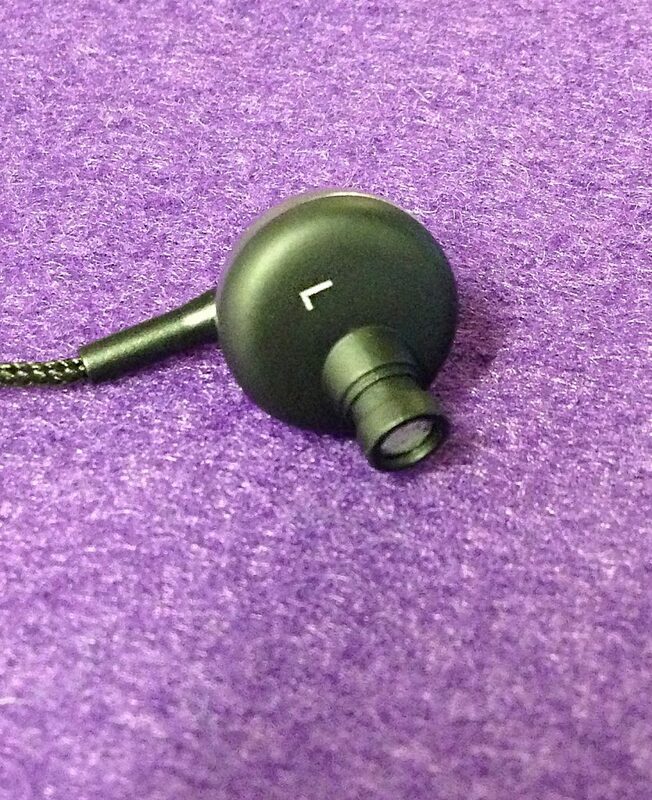 One big advantage of the EP2 earphones is the soundstage. It’s a fancy word which describes how the music sounds in relation to the space around you. Does the song sound like it’s all around you or does it sound compressed into your head? That’s soundstage. The EP2 sounds more open than most earphones I’ve heard. That spaciousness helps the music sound real and fun. However, keep in mind that the EP2 can’t compete with open-backed headphones regarding soundstage. Then again, no earphone can regardless of price. 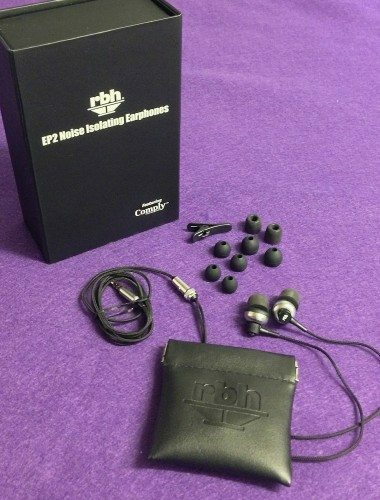 RBH’s EP2 earphones may not be as flexible with all genres of music as some other earphones, but they’re well made and are a good choice if your tastes lean to rocking out to hip hop, electronica, or other types of music that’s heavy on bass. Just remember that the included Comply tips will probably be necessary to hear that maximum bass.